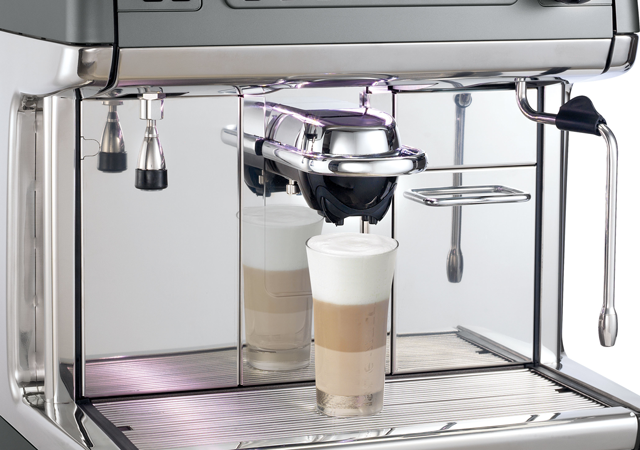 All models are equipped with a delivery spout characterised by an ergonomic handle so that it can be regulated more rapidly and with greater precision. 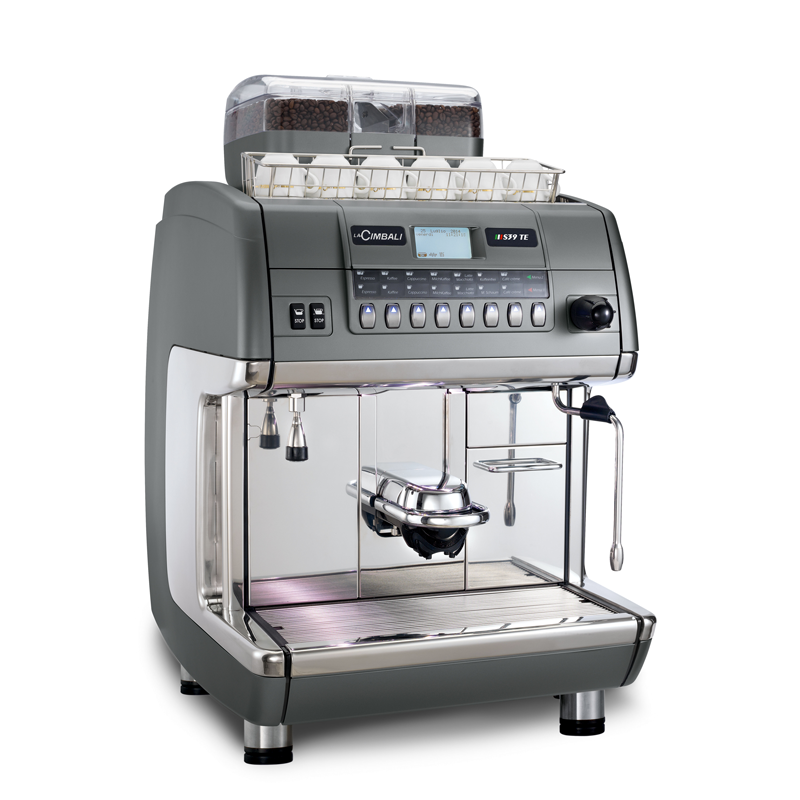 The graphic display allows the barista to communicate more easily with the machine. 8 or 2x7 selections and 2 hot water selections. 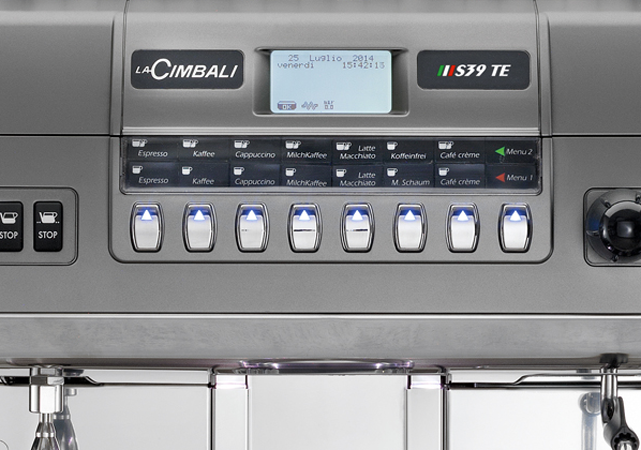 The push buttons are electromagnetic, instantaneous and reliable. The programming and wash buttons are protected by a special cover. 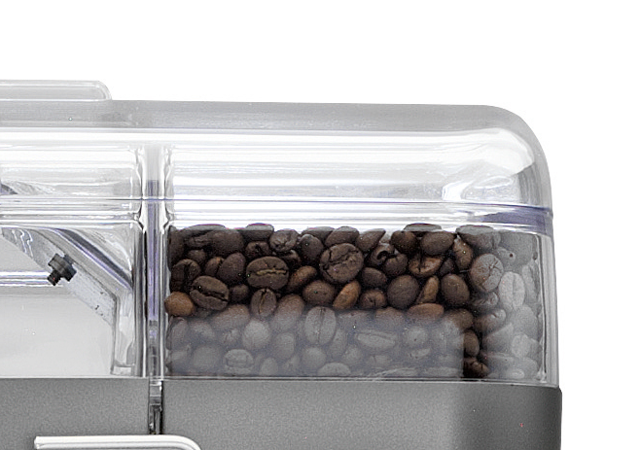 2 hoppers for 2 different types of coffee beans. 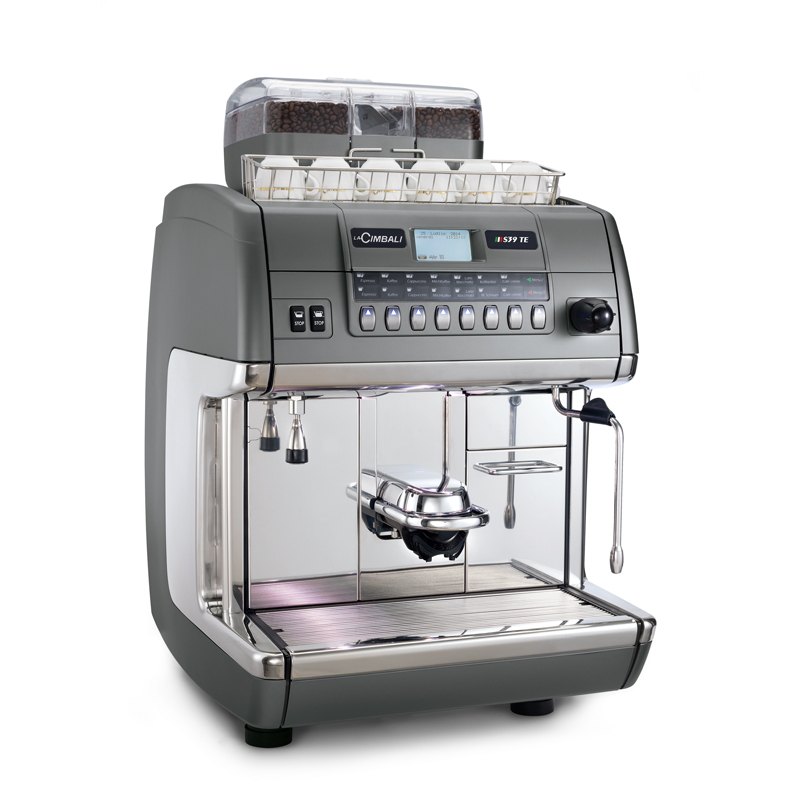 The 2 hoppers, each with a 1,2 kg capacity, are equipped with a photocell that indicates when the hopper is empty. Thanks to a special door, decaffeinated coffee powder can also be used. 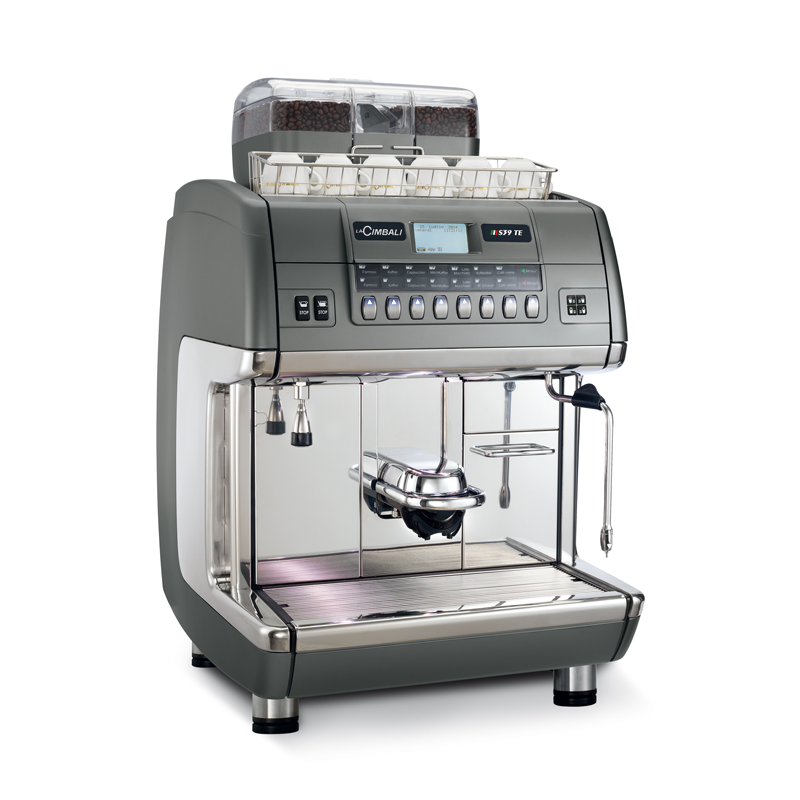 The S39TE grinder-dosers are equipped with top quality steel grindstones to guarantee excellent performance levels. 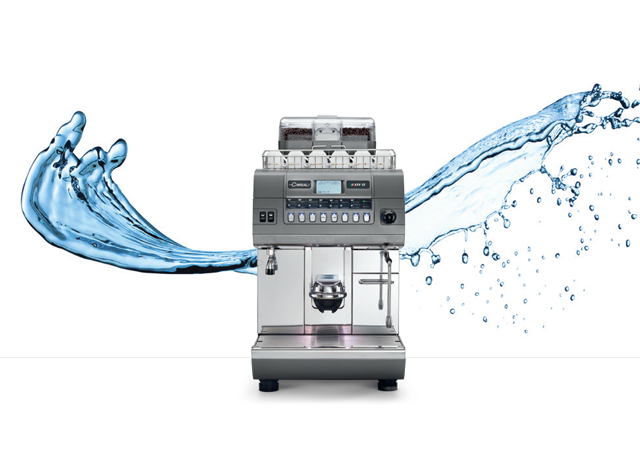 The machine automatically performs programmable wash cycles, only with water during working hours and with a special detergent before the end of day. The milk circuit washing cycle is completely automatic. After the milk-circuit tube is submerged in the tray containing the detergent, the washing cycle starts, and the machine does the rest automatically.